It is on this day that Pom hereby gets her very own beverage. It is my favorite mocktail of all time. It resembles Pom not only in name, but in its effervescence, and sweetness with a touch a tart. And, just like Pom, it’s delightful anytime. Before I was born, Pom hand wrote and published her first cookbook as a holiday gift for family and friends. 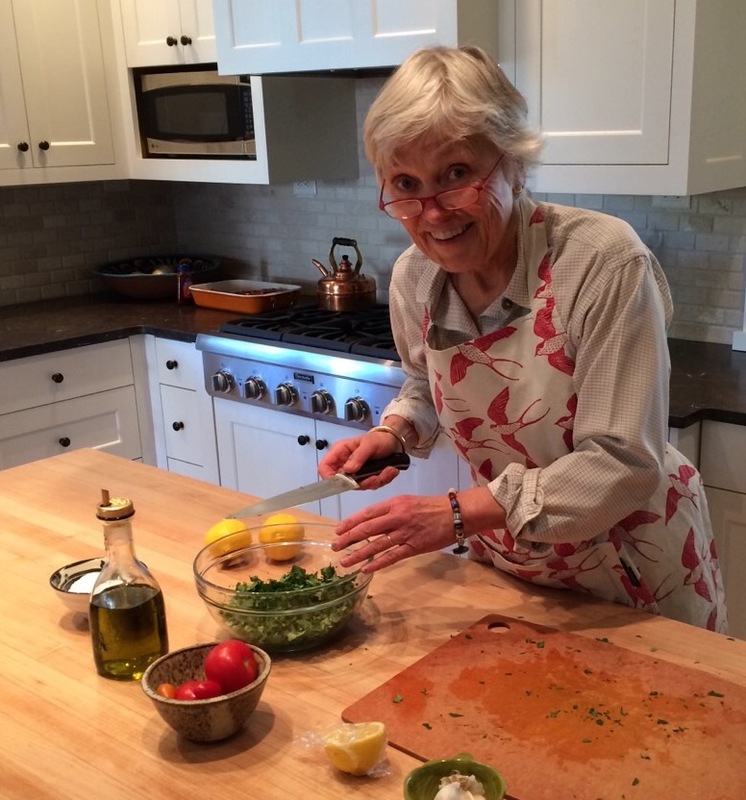 Throughout the years, she continued to test, tinker with and compile recipes. 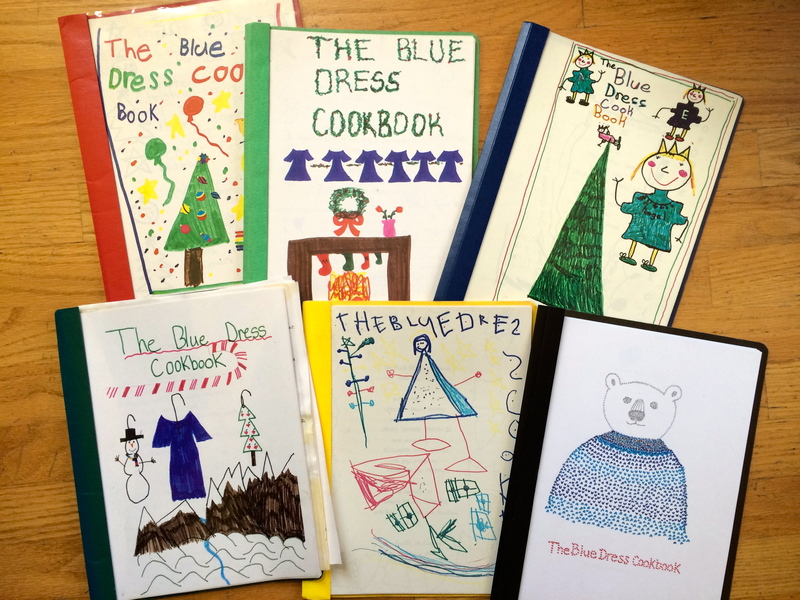 And this past December, Pom wrote the 17th edition of The Blue Dress Cookbook. 17th! These are the recipes I grew up with. I love them. And I’m not the only one. I have friends who text me their photos of Pasta Happelini in late summertime or ask me to ask Pom for her favorite salad dressing recipe. Someday soon, I’d love to pay homage to The Blue Dress treasure trove by carving out a chunk of time and cooking only from the cookbooks’ archives and writing all about it, in true Julie and Julia fashion. Stay tuned. Pom, thank you for improving the world with your love, unfailing optimism, fully-dressed smile and, of course, your food. I love you with all my heart and even more. 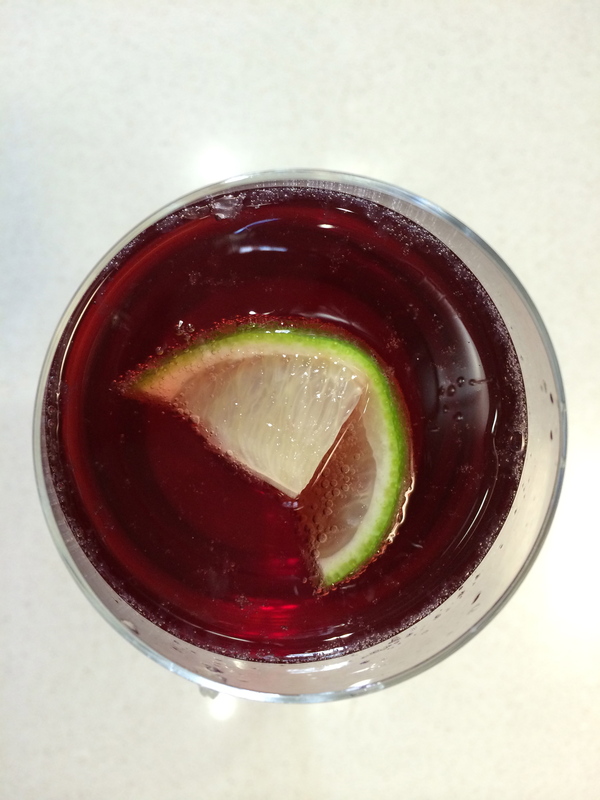 This Pom Spritz is for you. Pour Pom juice into your favorite glass about 1/3 of the way to the top, then fill to the top with cold sparkling water. Add a generous squeeze of lime. Stir. Cheers! As a lucky recipient of both happle-astc (fantastic) meals & the latest cookbook I I can atest to and add praises to “Pom’s” talents and graciousness! Happy special day to her! What a nice happlesauce tribute! What a lovely toast to a remarkable Mom and human. Love you Anno and Love you Pom! I can barely write because my eyes are filled with tears, Annie. What a lovely salute to your mom! The Blue Dress collection is my go-to reference. Lots of love. love this, Nannie! When i think of your mom, i hear her saying, “Oh Meredith…” with a soft, caring voice. I miss your parents (and you! ).